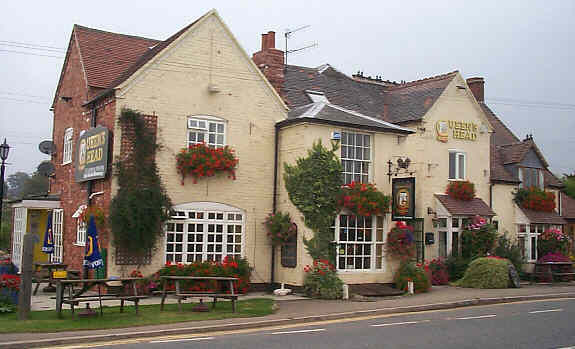 This pub is situated on the main road - a rat run that parallels the A435 to Evesham. Traffic races past at a rate of knots, but once inside you don't notice as you are faced with a choice of real ales all brewed on the premises - if you don't like real ale they now brew their own lager. Up to five of their own real ales on at any one time. All are well kept and on speaking to the brewer, should be served with the sparkler on. I tried both and they tasted equally good. The outside of the pub is pretty innocuous and you would pass by unless you knew it was also a brewery - the sign outside is not easy to see as you race past. Once inside you are greeted by a bright wood and paint interior reminiscent of a country kitchen. The floors are bare wood and the tables a mixture of round and square, large and small. Seating is un-cushioned chairs and old pews which do have cushions. 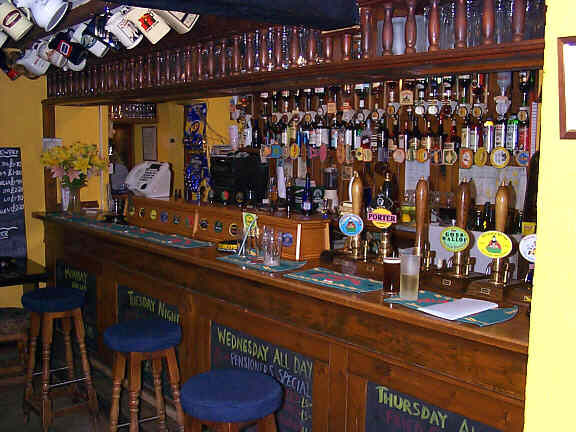 The bar is quite high with an extra flat wooden tap housing running most of its length. On it there are chalk boards advertising the quiz nights and special food nights. The pub has many rooms along its length, and tables and chairs are dotted about with some space to get wheelchairs through. There is a disabled WC, so access should be possible. There is a real fire at one end, though gas fires are prevalent. At the far end is the restaurant with a tiled floor and patio doors. Pictures adorn the walls, both painted and photographs. Food is interesting and the selection is varied. However, it is expensive and can be up to ?14/?15 for a main course. While good quality, the price can often leave a disappointing taste in the mouth - this is not a reflection on the quality of the food. Food is served both lunch and evening. For the summer there is a beer garden to the right of the pub, this fronts on to the road and can therefore be a little noisy. For the children there is a climbing frame and a BBQ for hot summer weather. No accommodation here. Excellent beer, good friendly atmosphere and you can meet the brewer and ask him questions freely. 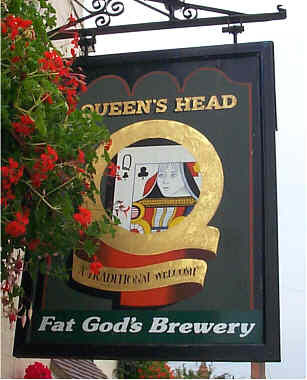 The Queens Head has a regular beer festival each year with about 30 beers.